Not all of us are lucky enough to be able to afford one of our luxury cat trees, but that is not to say that you cannot still treat your feline friend to all the fun and frolics that a more expensive model can provide. In fact, may of our budget cat trees provide even more space for your feline to relax and play than more expensive models out there! We have the largest selection of budget cat trees available for sale in the UK, so not matter how many spare pennies you have, you can find a cat tree to not only suit your home, but your feline friends needs as well. Take a browse through our budget cat trees below and if you cannot find a cat tree that you are looking for, then get in touch with us and one of the team will be happy to help source you the puuurfect cat tree for your happy household. 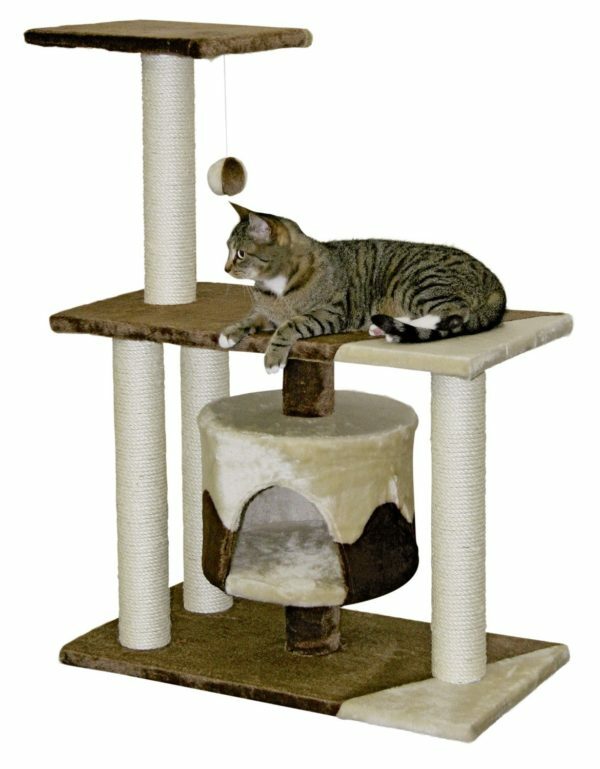 Despite the lower cost of these particular cat trees you do not need to be concerned at all about the quality that you will receive. All of our cat trees no matter how expensive or cheap they may be have been thoroughly tested by our own crack team of kitties to ensure that they will stand the test of time!